Phoenix (316) Ltd supplies very high quality fabricated parts to many of the premier yacht builders in the UK and Ireland. We supply both for the new build and the re-fit projects including SuperYachts. We can produce any fitting. All we need from you is the drawing and/or template. All products are fabricated using marine grade stainless steel or aluminium. The finish can be highly polished, satin, mirror or powder coated. Pushpits, pullpits, grab rails, galley bars. Chain plates, bow fittings, gaff fittings, mast fittings. Davits, goal posts, radar mounts. Fuel tanks, water tanks, holding tanks. 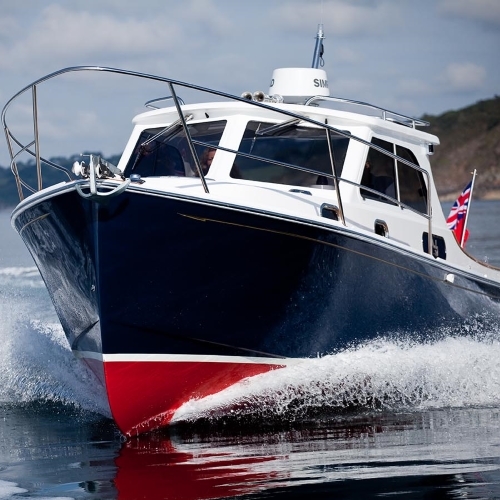 Products fitted to: Princess Yachts, Rustler Yachts, Cornish Crabber range, Red Bay Boats, DML, Plymouth Pilots, Bluewater Boats. We have very experienced staff who have been fabricating metal for a number of years. Whether it's stainless steel or aluminium, just give us a drawing, template or verbal instructions and we'll fabricate. Phoenix (316) specialises in a number of areas including boats, swimming pools and street furniture.